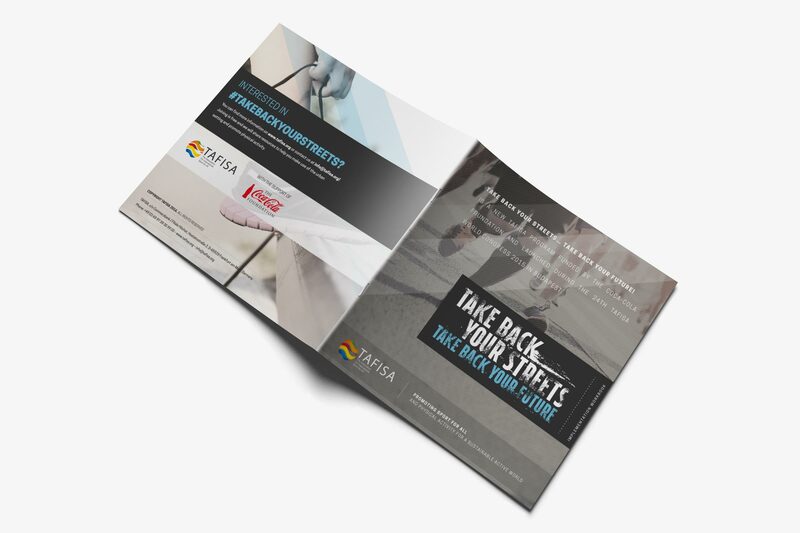 TAFISA Take Back Your Streets Brochure | rightcolours. 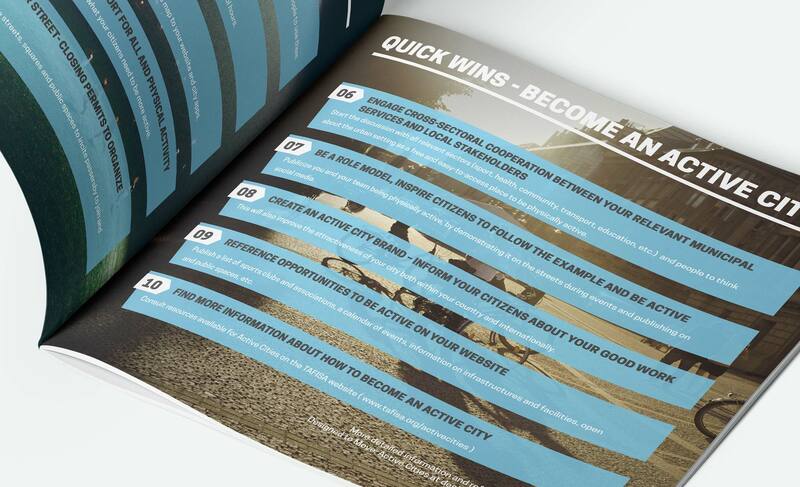 Take Back Your Streets Brochure. 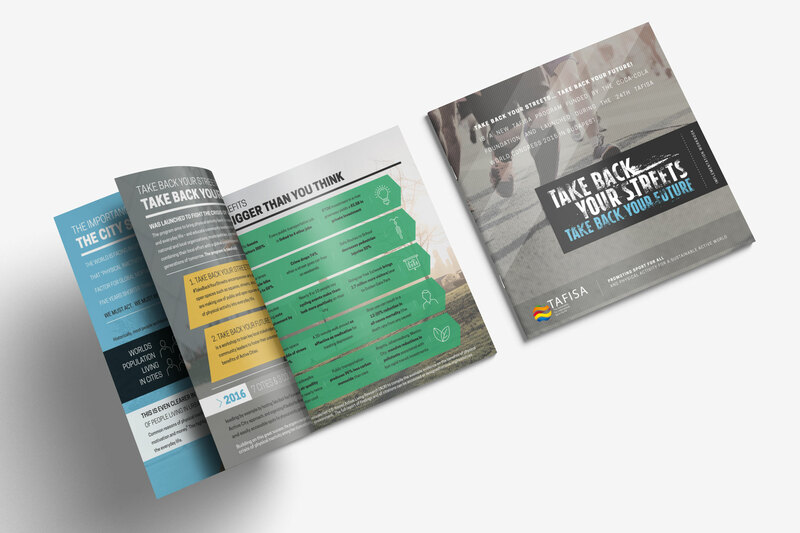 We designed and produced the official brochure for the „Take Back Your Streets… Take Back Your Future“ Program by TAFISA Europe. 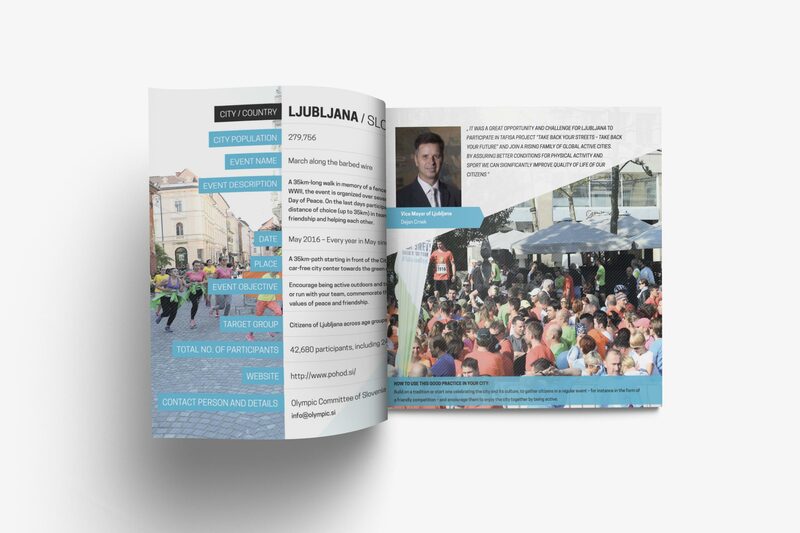 Funded by The Coca-Cola Foundation, the program aims to bring physical activity back to all citizens through the use of open spaces – in festivals, events, games, play and everyday life. 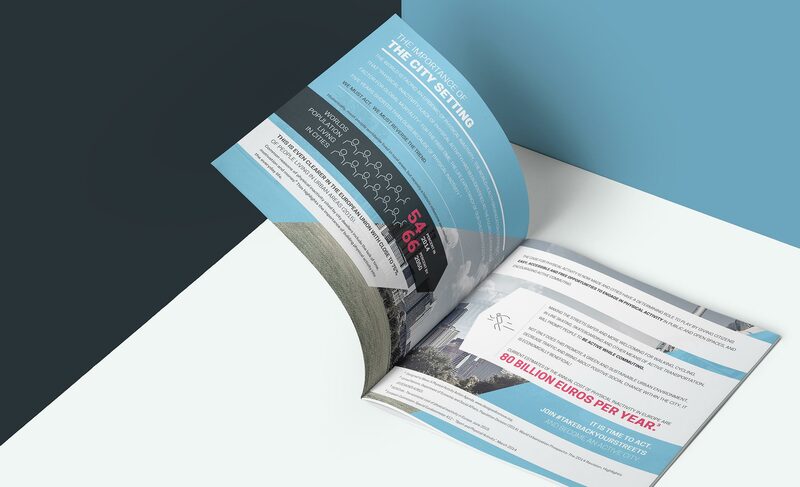 The program is designed for national and local organizations, municipalities, communities and citizens who wish to tackle the deadly epidemic of inactivity by combining their local effort with a global commitment, thus striving to build a common voice for the benefit of the generations of tomorrow. 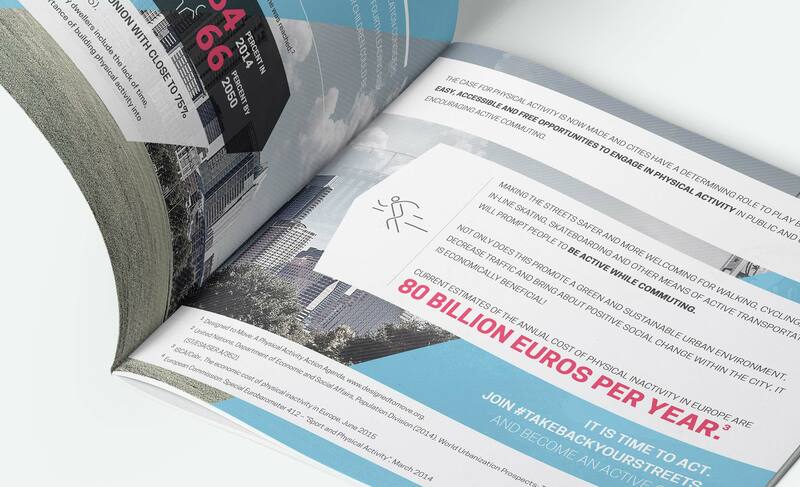 As active cities and environmental sustainability are an overarching theme for the program, the brochure was printed eco-friendly. The used material is made from 100% recycled paper and can be recycled again.